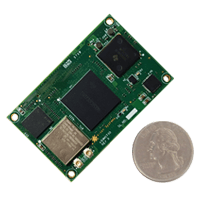 DM3730 SOM - eSOM3730 is an ultra-low power embedded ARM SOM based on TI's ARM® Cortex®-A8 AM3703 / DM3730 processor. This AM3703 / DM3730 SOM has CPU running up to 1GHz, mobile LPDDR SDRAM configurable from 128MB to 512MB and NAND flash configurable from 256MB to 1GB. 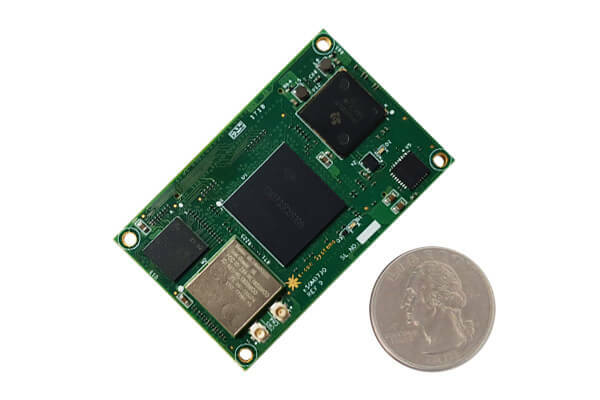 The eSOM3730 module also has the Wireless LAN and Bluetooth module along with Power Management IC that can be programmed through I2C.. The CPU board exposes the complete range of interfaces provided by the AM3703 / DM3730 Application Processor through its connectors so that the customers can get the complete functionality of AM3703 / DM3730, without going through the complex design requirements of the processor. 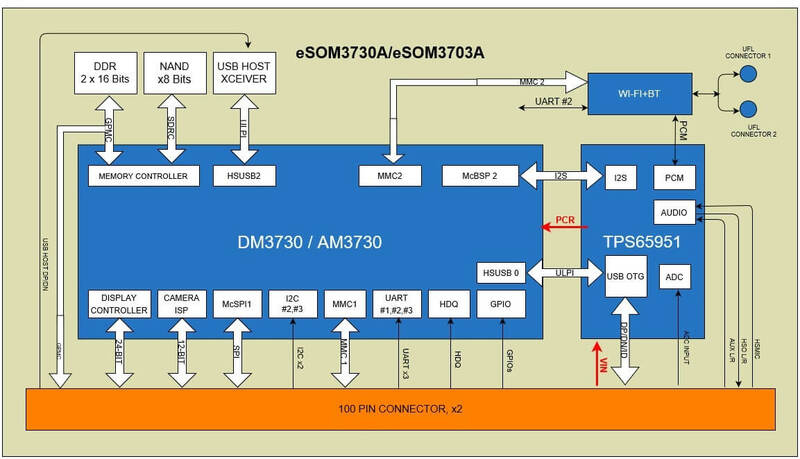 e-con provides a Rapid development kit for eSOM3730 called Almach - DM3730/AM3703 Development kit. 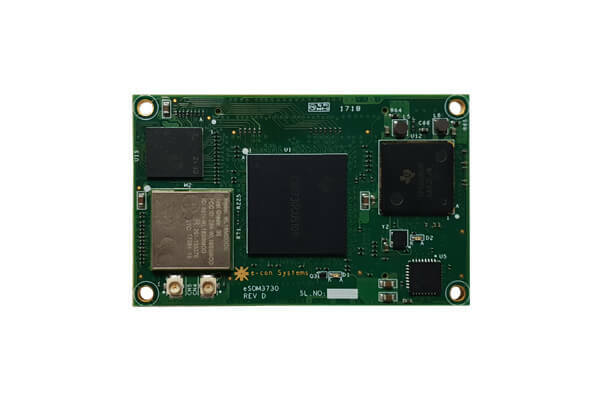 This ARM board features a carrier board around the eSOM3730 Module with peripherals supported like 2 channel 10 bit ADC controller, USB 2.0 host and RS232. Also includes Capacitive Touch screen, SDIO, SPI, I2C, LCD controller, 3 UARTs, 1 wire, local bus expansion, USB high speed client, MIPI CSI-2/Parallel camera interface. 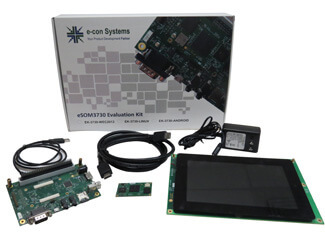 As a part of rapid development kit, e-con Systems provides detailed schematics, hardware user manual, Bill of material, application notes to help the customers design their custom board faster and therefore speed up the time to market. e-con Systems provides Windows Embedded Compact 2013(WEC2013) / WEC7 / WinCE6.0 / Linux BSP with device drivers for all the peripherals. eSOM3730 can be customized with the following configuration. x-variants can be chosen from the following eSOM3730 Part Number Decoding Table. The Minimum order quantity (MOQ) is 100. please contact sales@e-consystems.com for more information.